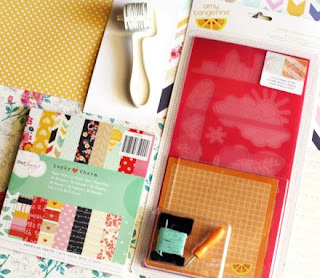 Heather Leopard: Scrapbook Circle Charmed Life Kit Giveaway! I have the BEST giveaway going on today!!! 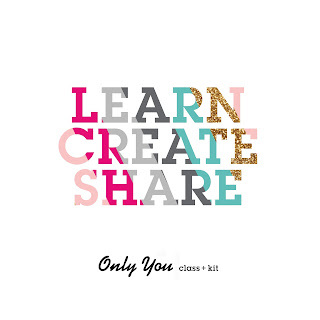 Seriously, if you are looking for a kit club, look no further than Scrapbook Circle. 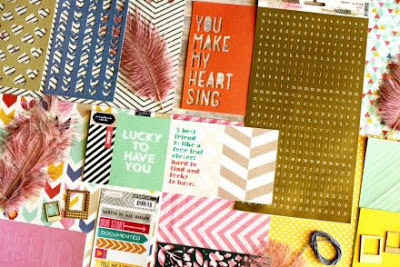 I have been lucky enough to work with Lisa for a couple of years now and her kits are always packed with the latest and greatest scrapbooking products. 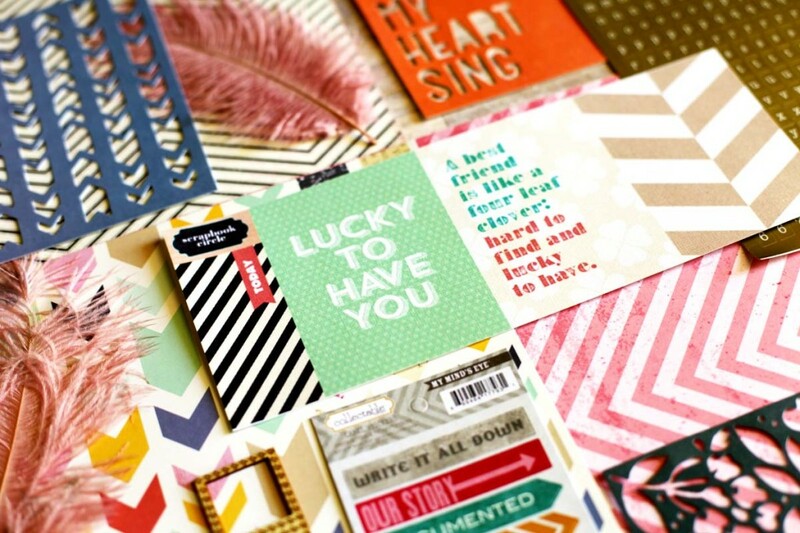 Plus you can get tons of daily inspiration from the Design team Idea Gallery. Anyway, I'm nearing my 600th blog follower so I'm offering up a chance for you to win a Charmed Life kit today. I'll draw a random winner from all my blog followers next week but I'll need your help to reach my goal. It's full of American Crafts Dear Lizzy Lucky Charm & Amy Tangerine Yes, Please, Crate Paper Maggie Holmes, Webster's Pages/Allison Kreft, My Mind's Eye, Bella Blvd and some Scrapbook Circle exclusive tags. View the whole list on the Scrapbook Circle site HERE. There's also a kit add-on "Lucky Girl" that you don't want to miss out on...Woodgrain roller and stitching templates? Yes, Please! Follow my blog - easy peasy! Like the Scrapbook Circle Facebook page. Make sure to write on their wall telling them Heather Leopard sent ya! Visit the Scrapbook Circle Facebook page and share the giveaway link posted on their page with your Facebook friends. Share the giveaway on Twitter, tagging @scrapbookcircle and @heatherleopard so we see your post. Sample post: " @heatherleopard is giving away a March Charmed Life kit. Details on her blog. bit.ly/WcBb2K @scrapbookcircle "
i am already a follower of your blog and just became a fan of Scrapbook Circle FB page. Thanks for such an awesome giveaway! I would love this!!! I am already a follower. Thanks for the chance to win, I did the four options you gaveta us: follow your blog, becoming a scrapbooking circle facebook fan, tweeting about the giveaway and sharing on facebook. I already "like" Scrapbook Circle! I am dying to get my hands on this kit! Happy 600th blog post! I all ready follow you and SBC's FB page!! YAYYYYY!! What a great giveaway and yay on the followers!!!! Awesome giveaway Heather! Thanks for the chance to win!! I am liking Scrapbook Circle over on Facebook now! Thanks for the chance to win this kit - I already follow your blog and Scrapbook Circle on Facebook. What an awesome kit! I LOVE those feathers and all that gorgeous paper! I would be so delighted to win! Thanks for the chance! I shouted it out to all my FB peeps! I'm a follower of both you and SC! What a great kit!! Thanks for the chance Heather!! Great giveaway Heather! I"m a follower of you/and SCircle! Thanks for the chance! Heather - I am already following your blog and I hurried on over to facebook and became a Liker of Scrapbook Circle. Thanks for the giveaway op and I love looking at your blog!!! i am a follower of your blog & i also became a follower on FB :) thanks for the chance to win! this prize is awesome! I already follow you and Scrapbook Circle, but I left some love on their wall from you. Am already following and have liked and shared on facebook, lovely giveaway. Followed you already! I also visited the Scrapbook Circle Facebook..going to share the giveaway right after this. Thank you for the chance, Heather! What an awesome kit and giveaway! Already a blog follower!! Also liked the Scrapbook Circle FB page and told them you sent me!! Shared the link on FB!!! I already follow your blog and SC on FB, and I said hi! I follow you Heather and love your style!!! I like Scrapbook Circle and went to say Hi from you!! I am a new follower and that kit looks like so much fun! I'm a beginning scrapbooker so a kit would make it so much easier! I am following Scrapbook Circle on FB and left a comment to let them know you sent me! Love your blog and have been a follower for a while! Thank you for the chance to win this awesome kit! I've been a follower for a while and love it!! Your LO is absolutely beautiful - thanks for sharing and for the opportunity to win!!! I'm also a Scrapbook Circle follower on FB. I like Scrapbook circle on FB! You are so close! I tweeted and hopefully you'll get a few. Thanks for sharing about Scrapbook circle. This kit looks awesome! Just followed you! I am new to your site and it looks amazing! 2. Liked the Scrapbook Circle Facebook page and wrote on their wall telling them Heather Leopard sent me! 3. Visited the Scrapbook Circle Facebook page and shared the giveaway link posted on their page with my Facebook friends. Also - Followed @ScrabookCircle and @HeatherLeopard on Twitter. W hat a great kit! i just became a follower. nice blog. nice kits you have. i also 'liked' you facebook page. thanks for the invitation and the chance to win. i'm going over to share now! I follow your blog. What a great kit! Already a blog follower! This looks like a fun kit!! I follower their fb page! What a fabulous giveaway! Thanks so much for the chance, from a blog subscriber! I am a fan of your blog....I love it actually. You are very inspiring. I visited Scrapbook Circle's FB page and told them you sent me over to say hi. I am already a follower of your blog and just became a fan of Scrapbook Circle FB page. Thanks for the chance to win!